I felt quite informal and casualand decided to go for something I've been thinking about for some time. Thick fabrics with interesting textures look amazing at this time of the year, and I've lately grown very fond of the "washed" look. Often seen in thin and low quality fashion stuff it usually leads to a rather dirty and uninspiring result, I thought of trying it out with some pieces of my own wardrobe. I had my khaki chinos usually seen pressed and well ironed, but this time they're straight out the washing machine leaving that nice and soft cotton into a more relaxed shape. The shirt is an oxford cotton button-down shirt, also unironed. 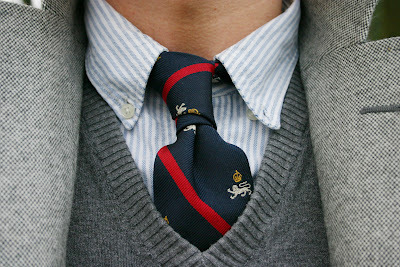 And to add a touch of color and preppy spirit, a club tie. The silk also brings a nice contrast to otherwise quite heavy and rough fabrics. Another thing I quite like when going for a bit more unconventional outfits is this: Heavy or semi-heavy shoes like the longwings here, get some heavy socks with an interesting texture and roll up your trousers a bit. 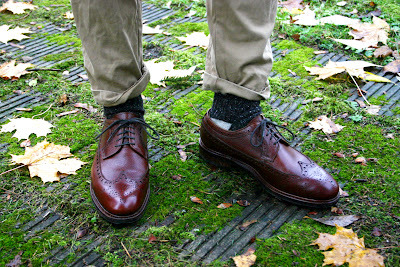 Other shoes to be worn like this could plain toe derbys, split toe derbys or full brogue derbys. I've really grown to like leaving some particular items unironed when wearing them. 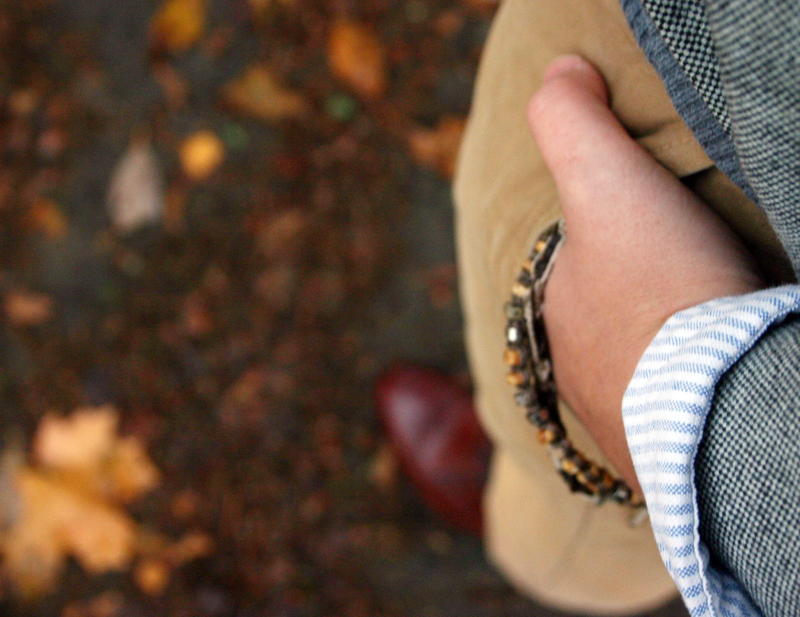 OCBDs, chinos and other items with nice thick fabrics look just right for a cold fall/winter day like that. mad love for the tie.... where does it come from?! This one is from Polo Ralph Lauren. 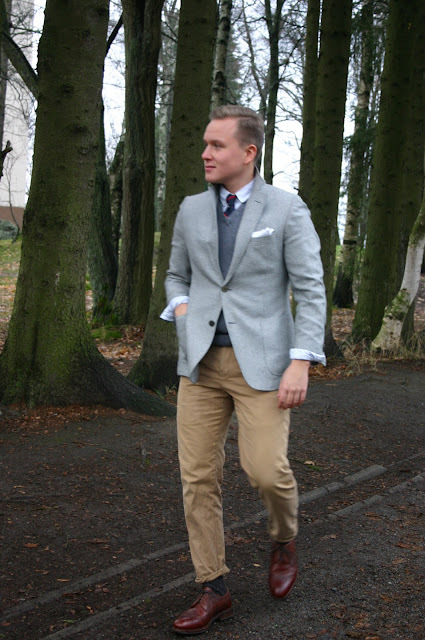 What brand are the chinos and OCBD? Land's End? The fabric on both look really beefy. Hey. Chinos are from Brooks Brothers and the shirt from PRL.